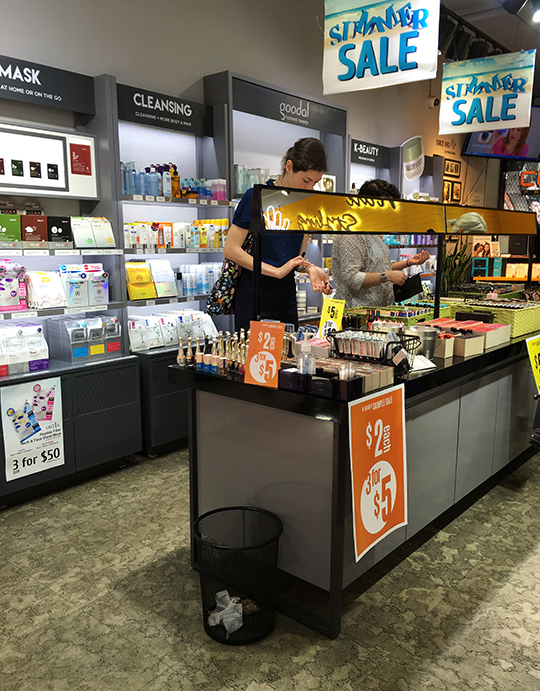 The beauty battle between two big K-brands is on! While Peach & Lily is gearing up for their second annual sample sale next week, Club Clio is dashing ahead of its competition by kicking off their 5-day long summer Clio-rance today. The budget beauty brand announced the details of this week's event late last night, so I had to cancel my morning plans to see what the fuss was all about. So, what's the dealio at Club Clio? Here's a quick rundown. 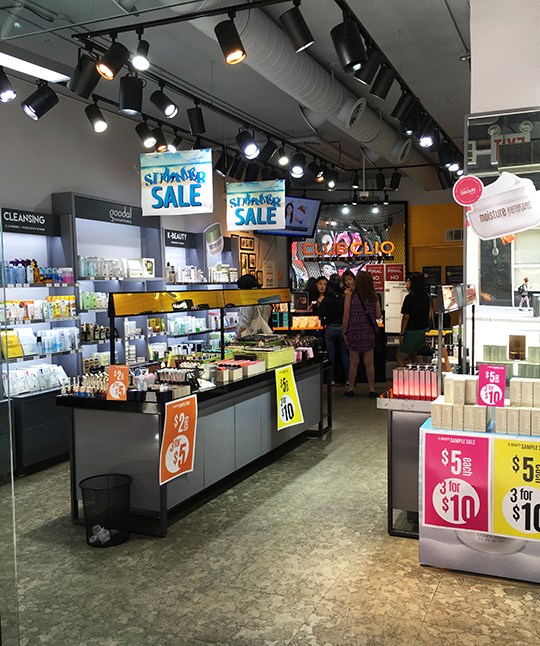 Club Clio's Union Square flagship store was open for sample sale business when I stopped by this morning. 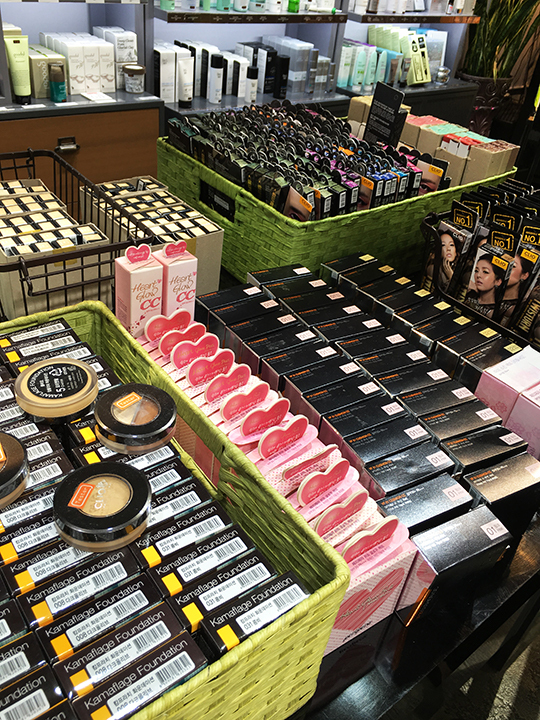 With the sale off to a quiet start (only five shoppers in sight), sales associates were eager to lend help to each customer by sharing their expertise on the line of products. Therefore, if you're not too familiar with the label's merchandise, don't hesitate to ask for assistance. Inside the sale, discounts were divided into four categories: $2, $5, $10, and $20. 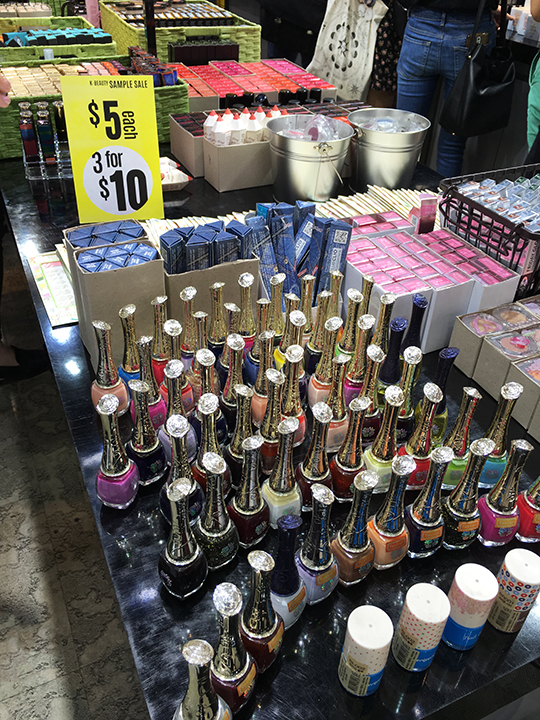 Items in the $2 group consisted of nail polishes, Peripera Tap Tap Eyeshadow, Peripera Saturday Night Liner, Clio Friday Glow Eyeshadow, and more. For a bigger bang for your buck, if you buy 3 items from the $2 section, you only pay $5. 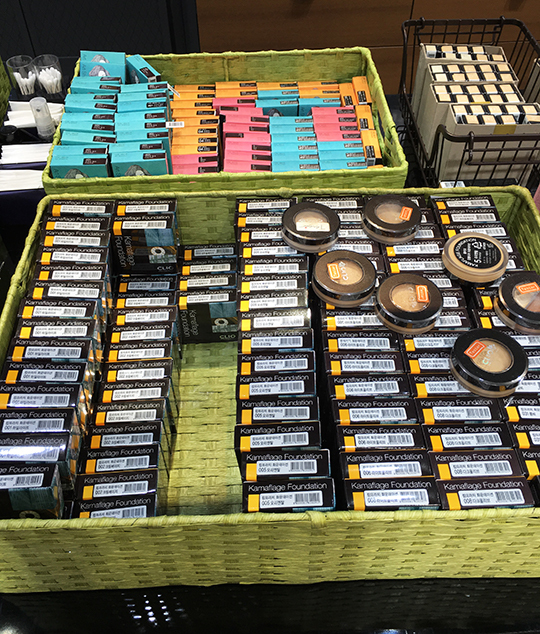 Items in the $5 section included products like Kamaflage Foundation, Peripera Heart Glow CC, Peripera Heart Glow Pact, Clio Art Shadow, Clio Gelpresso Pencil Gel Liner, Clio Kill Cover Liquid Concealer, Peripera Lumi Pang Lip Stain, Clio Salon de Cara Mascara, and more. If you buy 3 items from here, you only pay $10. 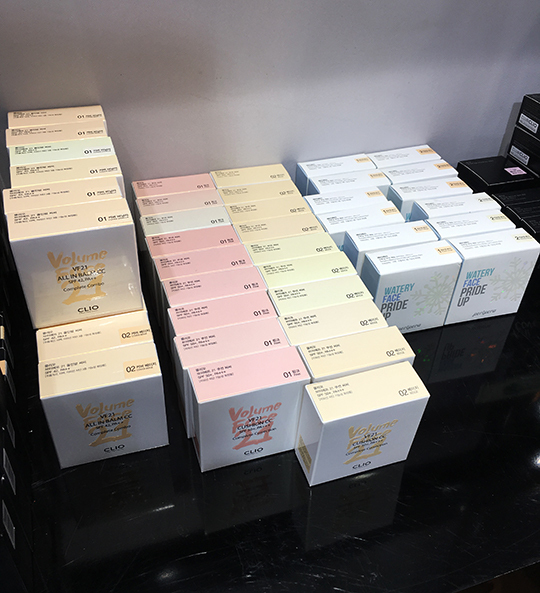 In the $10 category, I found Clio Kill Cover Blender, Peripera Watery Face Pride Up, Clio VF21 All In Balm CC, Clio VF21 Tone Corrector CC, Diamond Rose HD Base, and skincare products under the Goodal label. If you buy 3 items from here, you only pay $20. 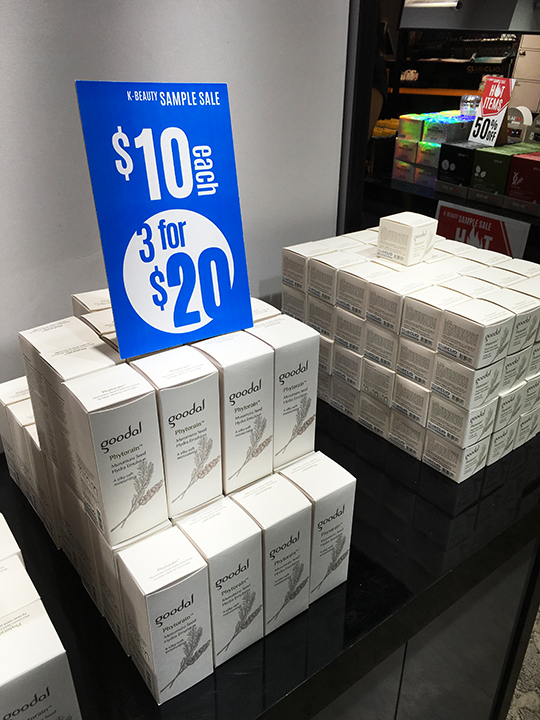 The $20 category only had one product in two versions. The Ostia Peptide Filler Neck & Face Sheet Mask was available in Whitening and Aqua. If you buy 3 items from here, you pay $50. 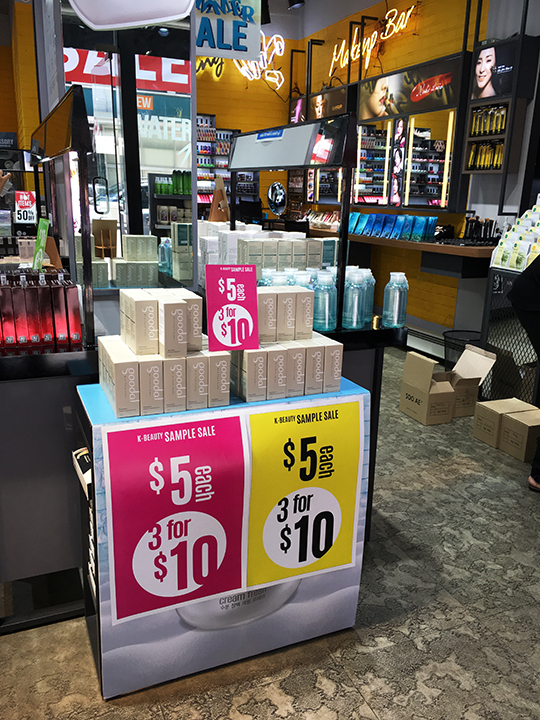 In addition to these four price categories, everything else in the store (mostly skincare) was marked down 50%, which was pretty impressive. 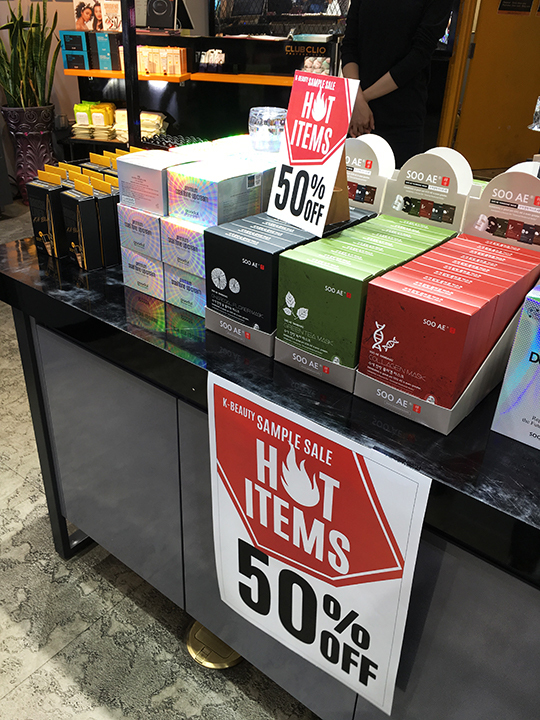 But as amazing as these discounts are, I've heard some concerns regarding the quality of Club Clio's products, so keep that in mind if you decide to stop by. With the exception of the $2 section, those discounts are not that different than what they ran in the Flushing store last month. 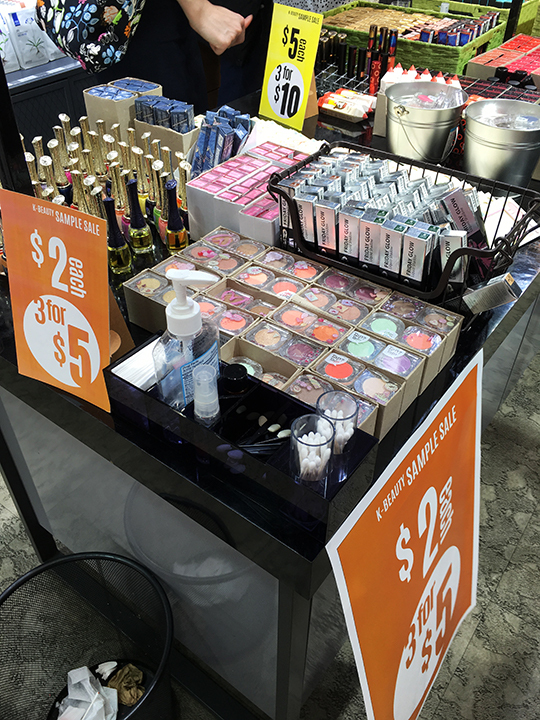 4 for $20 make up and 3 for $20 skincare.